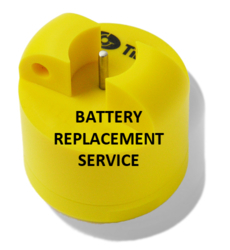 The Splash 2 logger does not have a user-replaceable battery, the logger must be returned to Gemini for battery replacement. Please complete the Product Return Form on the Repairs page and send it to us with the logger. We aim to return the logger to you within 5 working days of receipt of the unit.